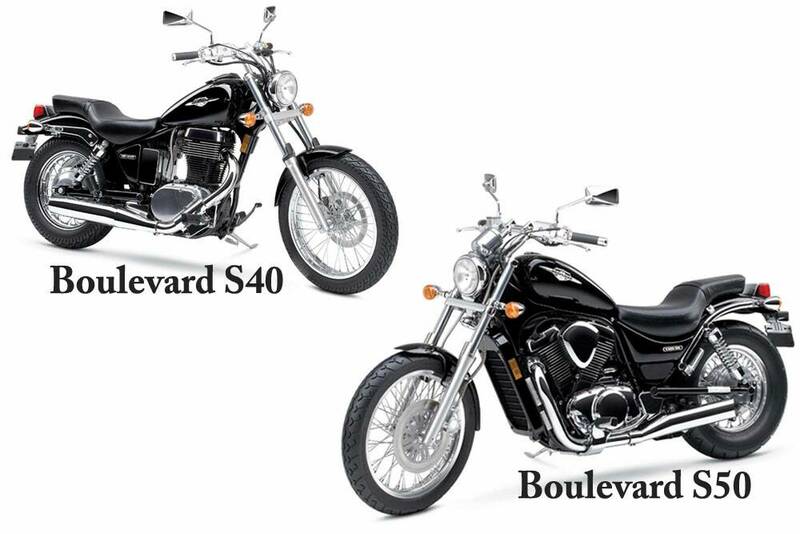 The Suzuki Boulevard S40 and S50 are two amazing bikes. Which one is better for a beginner though? Which one is better for you? 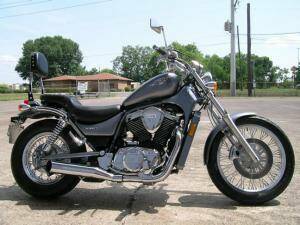 Luckily ‘Uncle Bernie’ one of the members of BBM has written about his experience of moving from the Suzuki Boulevard S40 to the Suzuki Boulevard S50. Without any further ado, here is Bernie’s impressions! 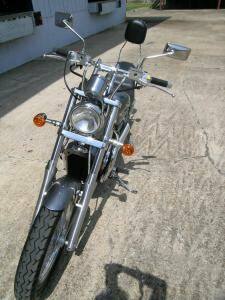 I practiced “duck walking” the bike backward and forward and turning it around…definitely feel the extra hundred pounds… The driveway leading out of the parking lot from “The Motorcycle Man” sloped upwards at around a 25-30 degree angle. I rode the bike up to the point where the front wheel was about a foot from the edge of the road and most of the bike was on the incline. On the S40 I probably could have kept the bike from rolling backwards by either applying the front/rear brake or just pressing down with my feet and holding the bike without applying the brakes. The S50 didn’t allow both options. I definitely had to use the technique I’d been practicing on upward slopes with my S40 of keeping the bike stopped with the front brake and simultaneously gassing and letting off the brake and clutch at the same time*. After one stall out, which I attribute to my apprehension about how the bike would behave if I gave it too much gas on takeoff, I managed to get the bike moving and head out onto the road. As always, the apprehension was unfounded and, while the s50 did take off with a little more authority than the s40 it wasn’t anything that worried me once I got going. Taking off I felt a bit of engine sputter laying on the gas. I notice the same thing with my S40 when it is “cold”. In this case I’m not talking about cold as a temperature designation so much as the engine hadn’t been running long enough to perform at peak efficiency. Like the S40, the S50 wants and needs the choke out upon a fresh start and seems to want to idle, like the S40, for a couple of minutes from a cold start before being taken out on the street. I have no empirical data at this point but I expect the S50, having a normally aspirated carburetor will behave much the same way. I did note that after test riding for a couple of minutes and stopping the bike, waiting, and restarting it to see if it had warmed up a bit (and I must note the engine sprang to life with authority the second time I started the bike…with no choke), my initial impressions are that the bike probably takes longer to get warmed up than its fuel injected counterparts, the C50 and the M50 and that longer rides will reveal once the bike is adequately warmed up the performance will improve accordingly. When you open up the throttle on a “warmer” engine, and I only had about a half mile of road I was testing on and I didn’t push the bike very hard, I did get the very tactile feeling there was a heavier, slightly nastier beast between my legs than I was used to. *I haven’t worked on this using the back brake due to Texas’ motorcycle law that a complete stop “ain’t” a complete stop unless both feet are down, so, all my practice has been done using the front brake for this maneuver. I brought the bike home from Beaumont on a trailer last Saturday, May 24. I’ve never towed a bike before and got a pack of four ratcheted tie-downs and a pack of two “motorcycle” tie-downs (at least they were according to the package). I rented a ramp trailer from U-Haul as well to tow the bike with. All in all, not a bad trip… I asked Revon (a.k.a. The Motorcycle Man) to help me tie Ferdie down because while I’d read about how to do it, I’d never actually done it, and this guy has been involved in moving bikes from point A to B for years. We ended up needing three of the ratcheted tie-downs and that was it. The trailer had a short wall that went around the entire perimeter and a railing with shafts of metal holding it up that the hooks on the ties could be attached to. Except for one of the ties coming loose about halfway between the 85 miles from Houston to Beaumont the trip went without incident and the bike made it home safely. Due to commitments, my first full ride didn’t come until Sunday afternoon. I suited up, checked the air in the tires and headed out for the concrete playground that is the Houston freeways. Well, actually, first I rode the bike on some familiar neighborhood roads. For those of you who don’t know, I’m from Houston and the blog found here, http://www.burger.com/rebelb56.htm, is something I stumbled upon while researching riding techniques and good first bikes. The little “twisties” on White Oak are mentioned a lot and that’s a good place to ride through to get your bearings. Everything felt fine and my initial impression was that the S50 just felt more solid than the S40 in all respects. I don’t mean from a construction standpoint, both bikes are solidly built, more from the “how it rides” standpoint. The S40 just doesn’t feel as substantial or commanding cruising down the road as the S50. I decided to head over to a road here called Allen Parkway which has some mildly sweeping turns and mild elevation changes as well to see how the bike handled in the 45-50 mpg range. One thing I noted is that the rear suspension felt somewhat springy and a little too mushy for my taste. There’s a manual adjustment that can be done to stiffen that up so I’ve made a note to myself to stiffen up the back springs before future rides. Everything else mostly felt fine and at the end of Allan Parkway is a tight, circular exit ramp leading on to I-45, a freeway that bisects Houston from north to south, so I hit that and thought “let’s see what this thing can do out on the highway”. First of all, getting up to freeway speeds took no time at all. Also, the S50 feels like it was made for cruising at 70 mph. Very little vibration compared to the S40. 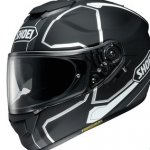 The ride was much smoother and the bike felt like it was very much in the pocket. I noted that, contrary to what you might think being strapped to the back of a newer, bigger, more powerful machine, I felt very much at ease, much more so than on the S40. The engine was humming, not vibrating wildly like the S40. Side winds didn’t seem to affect the forward trajectory of the bike as much. I didn’t feel as though I had to do as much work to keep the bike stable as I did on the S40. The extra hundred pounds of heft really make a difference in that regard. I felt really comfortable, maybe even a bit “too” comfortable. There was a certain technique I would execute on the S40 while changing lanes to get clear of the “wolf packs” of cars that tend to develop on the freeway. I would hit the turn signal, check the side mirror, do my head check and then, if clear, would change lanes while rolling on the throttle to get over and ahead of the cars around me. On the S40 I would open up the throttle completely and would get a very, very mild “burst” of acceleration. I tried the same technique on the S50 and, without even realizing it, found myself in the next lane to my left cruising at a little over 90 miles per hour, the fastest I’ve ever been on two wheels. I thought to myself “holy crap, what the hell?” and realized I can’t get lazy on this bike. I have to be very aware and get comfortable with and respect the extra power. This happened towards the end of the particular ride it was happening on and I was close to the exit leading to my neighborhood. Note to self, don’t get comfy too the point of forgetting where you are and don’t forget to use the gray matter between your ears or you might lose the ability to use it at all. In sum, this bike has power to spare, much more power than the S40. You can roll on the throttle at 75-80 miles per hour and the S50 will just take off. I had read a forum post by a guy that claimed to hit 120 on his S50 (and he said he didn’t think he’d maxed it out at that point) and while I haven’t tried, nor do I want, to hit that high a speed I’m prone to believe, based on the quickness with which the S50 got to 90mph that this is very possible. So far, I love the bike and am having fun but I’m also trying to remain cognizant of the increased power and speed and am trying to remain mindful of that when out on the road. The S40 is a fine motorcycle for what it is: a basic, no frills, lightweight, mildly powerful, good-looking little cruiser. 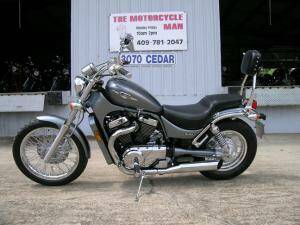 In a blog post I’d read on this site someone referred to it as the Ninja 250 of cruisers. I can’t agree more. If you’re not into sport bikes and want a good first machine to learn on that has enough power to get you around but not so much you’ll get into trouble then the S40 more than fits the bill. In my estimation it is a very good first bike. The S50 is the S40 on steroids. There’s more weight, more power, and “gobs” more acceleration. While I’m loving it so far I am aware that it’s a bike that, given my current accumulated hours “in the seat”, is a little ahead of me. I felt though, based on my freeway experiences I needed a bike with a little more heft and power and have found so far that the S50 is delivering what I need. I don’t think the S50 is a proper bike to start on if you don’t have previous street riding time, but I do feel as though I’ve ended up in the right place with the S50 which is a place where I can have a lot of fun, feel in control, and not feel outmatched by all the four wheelers around me.